Wow! YoYofficer is rolling out another great looking model. They want you to leave others in the dust with this new affordable bi-metal, the Shift! The shift will be dropping on Feburary 28th along side the YoYofficer Tusk. The Shift is the best choice if you’re looking for incredible performance at an affordable price. If you’re looking for your first bi-metal yo-yo, this is a top notch option. The Rave was regarded as one of our best models, however we wanted a model suited for a fast and more technical style. Thus, we built a smaller yo-yo with a wide V-shaped catch zone that’s phenomenal. The Shift brings that subtle but powerful bi-metal feel and definitely will not disappoint. Germany based yoyo company, iYoYo, unveiled their newest model, HiDra, which is a collaboration between them and an American yoyoer, Ze’ev Yehuda. After reviewing multiple yoyo CAD designs Ze’ev made, iYoYo knew they just had to team up with him. 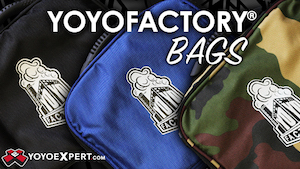 We believe the YoYo community has far more talent than just creating awesome tricks. Ze’ev Yehuda, US student and yoyo player, has one of these. 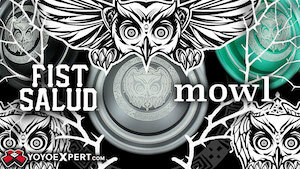 He has literally created dozens of cool looking CAD yo-yo designs in his spare time. When we discovered one particular one, we knew we had to get it produced. We got in touch with Ze’ev to see if he wants to see his vision become a product. We prototyped it, tweaked it and we are blown away by how well it plays. Think of a relaxing, solid and stable throw for everyday. We can’t wait [to see] tricks the community is going to throw with it! Available from their site and select retailers worldwide on February 4th, the HiDra is set to retail for only $54.99 USD. 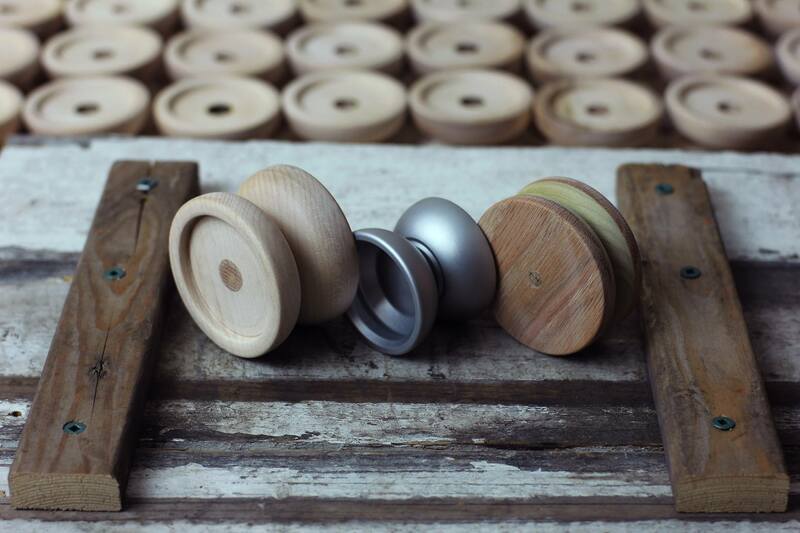 C3YoYoDesign took to social media to get constructive criticism on their yoyos and it ended with them coming out with two of the great looking yoyos! 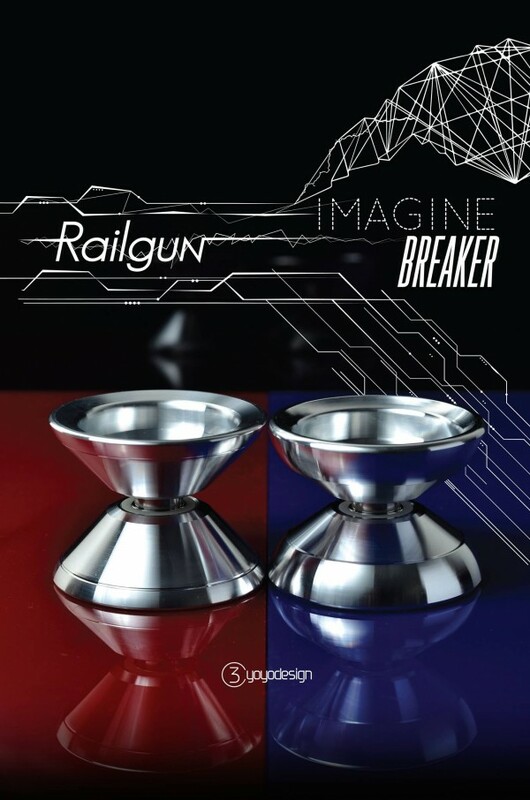 After reviewing and studying comments and contests, C3YoYoDesign brings to life the Railgun & Imagine Breaker! They will both be starting at $40 USD for solid colors. 3) Light weight in spec but play heavier that the spec value. This is good for long time practice especially Japanese players. Less the weight, less the shoulder stress. 4) Good amount of rim weight to achieve pt.1,2,3 = V-Shape! 1) Solid feeling and still able to accelerate. 3) Good enough binding power for 10-15secs combo but not too strong like holding a beast back. 4) Easy to do rejection tricks. 6) Last but not least, this must not be a V-shape yoyo because of the weight distribution. It might be getting colder outside, but Monkeyfinger‘s Franken Lab is on fire lately as they have been hard at work pumping out their latest creation, the 2Evil. Monkeyfinger has decided to follow up on their first success, the Evil-Yo, and bring forth a new and improved version. Release date is to be mid-December at various retailers, just in time for the holidays! 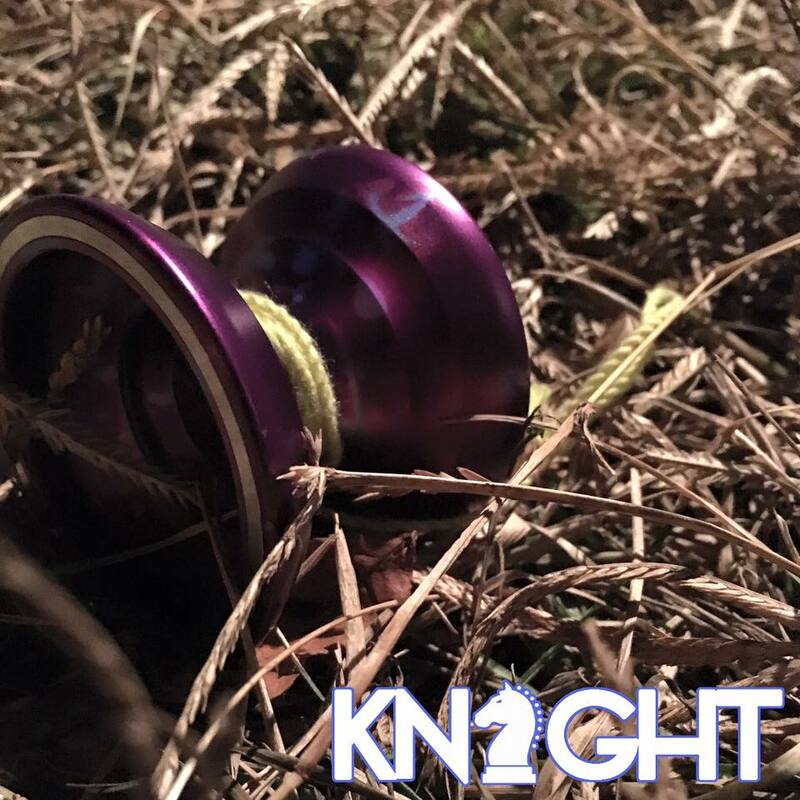 2Sickyoyos joins in the bi-metal trend and announced their first bi-metal yoyo, the Knight. 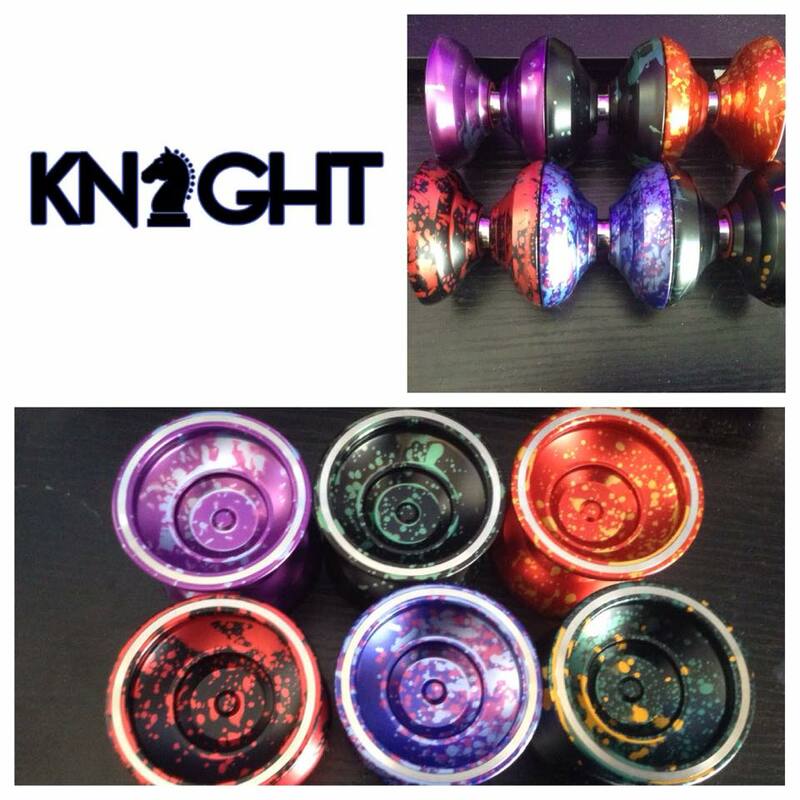 The Knight will be released at YoYoExpert and 2Sickyoyos on December 1st. Check out 2Sickyoyos’ announcement and full specs down below! When it came to designing the Knight, I wanted to do something different than what is already available. So with some very intricate design work I have created a truly unique looking and playing Yoyo. 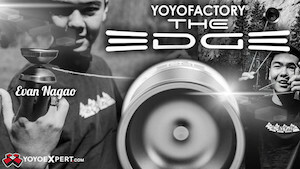 A lot of work and time designing has gone into this yoyo and I’m sure it will show. The Knight is a competition ready Bimetal design. It features a truly unique and first of it’s kind aluminum body/ stainless steel ring design. Unlike the other bimetal yoyos coming out with a ring on the rim or on the inside of the cup, the Knights ring is actually an indented ring that is fitted in the rim of the aluminum body. This is a bimetal design that is made to slay competition. The power of spin to weight ratio is spot on which allows for long spin times. The Knight is full sized, wide, and light. The indented ring also gives this an insane amount of stability and keeps the yoyo in plane very well. It features a very nice angular V shape that gives it a modern look. The cup features our 2sick ring that is known in our designs. It gives a ledge that helps guide fingerspins. The shape and cup both allow for the Knight to excel at all the different types of grinds. Features a C bearings and 19mm response. The gap is very large which allows for multiple string segments without being snaggy.